Who doesn’t like to sleep, right? Hitting the sack after a long and hard day at work is one of the best feelings in the world. Not only do you get to rest and relax in your slumber but sleep facilitates various restorative processes that the human body desperately needs. If only sleeping is just as simple as that. There are various distractions that prevent a person from getting that needed shut-eye each night. From technology to failed relationships to school or office work, you may consciously extend your day far longer as you try to finish everything before going to bed. And then there are those health conditions that impair your sleep that is totally out of your control. Sleep apnea is a perfect example. Sleep apnea is a serious sleeping disorder that is characterized by breathing pauses during your slumber. These breathing pauses happen countless times throughout the night that leaves your brain deprived of oxygen while you are asleep. It is also accompanied by a loud snoring sound that can disrupt the sleep of your sleeping partner or spouse that may result in unique sleeping arrangements where couples don’t sleep in the same room anymore. However, the biggest threat of all is the possibility of dying in your sleep. Scary thought, right? An autopsy report has revealed that actress and writer Carrie Fisher died of sleep apnea, along with other factors, The Los Angeles Times and other outlets reported. The medical examiner also listed atherosclerotic heart disease and drug use as “other conditions.” Cocaine, methadone, MDMA (ecstasy), alcohol and opiates were found in Fisher’s system. While the drugs have made for splashier headlines, the dangers of sleep apnea — especially as we age — are often misunderstood and discounted. A 2013 Mayo Clinic study found a link between obstructive sleep apnea and cardiac death. “The presence and severity of sleep apnea are associated with a significantly increased risk of sudden cardiac death,” said study leader Dr. Apoor Gami in a statement. Gami is a cardiac electrophysiologist at Midwest Heart Specialists-Advocate Medical Group in Elmhurst, Ill.
Just think about it, you literally stop breathing in your sleep if you have sleep apnea. And worse, it happens every single time you close your eyes for the night. No exception. You face this risk every single day. Studies even show that individuals diagnosed with sleep apnea are more likely to die of a heart attack around 10 pm to 6 am. Of course, the risk doubles if you are already suffering from heart problems. At least half a million people in San Antonio have sleep apnea, causing us to snore and gasp for air while we sleep. You see? What happens if your brain malfunctions and it chooses sleep over oxygen. Need I say that the result will be deadly? There is considerable evidence that sleep apnea does much more than just disrupt your sleep. Sleep apnea — which commonly occurs in those who snore loudly — is defined by recurrent pauses in breathing. This may be caused either by obstruction of the airway or by the brain forgetting to prompt a breath. When this happens, oxygen levels fall, carbon dioxide levels rise, and there is a spike in blood pressure, heart rate, and hormones like cortisol as the body reawakens to breathe. Sleep apnea has been linked to many chronic medical conditions, and even sudden death. Learn about the association between sleep apnea and hypertension, heart disease, heart failure, heart attack, stroke, and sudden death. Breathing dysfunctions can trigger a heart attack and sudden death in your sleep. Aside from that, sleep apnea worsens other heart issues like arrhythmia and stroke that may also lead to death when not treated promptly. The statistics show that roughly 42% of sleep apnea-related deaths were due to a heart disease. Since there is a strong correlation between sleep apnea and heart disease, make sure you get yourself checked in a sleep clinic and get treated for it too so you lower your risk of dying of heart attack when worse comes to worst. While CPAP is the treatment of choice, there are other more convenient solutions for sleep apnea that won’t require you to go under the knife. A snoring mouthpiece like this one: https://snoringmouthpiecereview.org/snorerx is a great alternative for individuals who aren’t comfortable using CPAP every time they sleep. 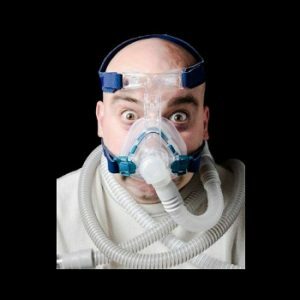 If you want to know why you are better off without CPAP, read on: https://snoringmouthpiecereview.org/why-a-cpap-machine-is-probably-not-for-you. No need to fret because there are more options out there, so you should not sleep at night and continually put yourself at risk of sudden death or compromise the sleep quality of your partner because of your sleep apnea. Many people lose sleep today for various reasons. The number of tech distractions that are keeping us away from the bed or is prompting us to push our bedtimes further is ever increasing yet we don’t seem to be alarmed by the fact that we depend so much on these smart gadgets. Chronic sleeplessness is not good, though, as sleep itself is a recuperative process everyone needs in order to grow strong and healthy. Not only do you feel much better, alert, energized, and have the presence of mind but sleeping is generally good for our body – and that encompasses all body organs. What most of us fail to realize is how much our mental health also deteriorates if we constantly lack sleep by pulling up all-nighters. We often think sleep may just affect our body and attention span the following day but it does far more damage that we are just finding out over the past few years now. Various studies have been conducted to determine the correlation between poor sleep and a person’s mental well-being and the results just confirmed most of our suspicions all along. Night owls in general or those who always lack sleep are at highest risk of developing depression and other psychological issues than people who enjoy a good night’s sleep. Mental health problems including psychotic experiences could in part be down to a lack of sleep, researchers have revealed. 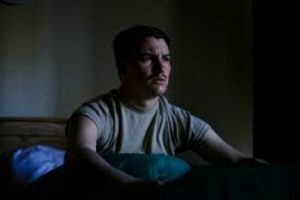 A new study found that people who had undertaken a course of cognitive behavioural therapy (CBT) designed specifically to treat insomnia not only found their sleep improved, but also experienced reduced paranoia and fewer hallucinations – both psychotic experiences – as well as improvements in depression and anxiety. If you find yourself unable to sleep at night, there are actually various methods you can try to overcome insomnia or you can even get treated for it to save you from all the hassles. Getting treated is better than constantly lose sleep and you’ll learn the hard way as you age. 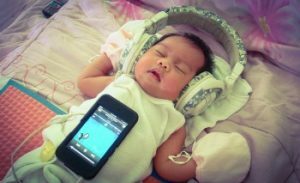 Even if you are young, it is not an assurance that you’ll live long especially that you can’t put down your smartphone at night and keep on pushing your bedtime until the wee hours of the morning. New research has found that treating insomnia with online cognitive behavioral therapy could in turn help treat mental health problems such as anxiety, depression, and paranoia. Carried out by researchers at the Sleep and Circadian Neuroscience Institute, University of Oxford, the team set out to try to improve sleep in a group of university students with insomnia to look at sleep’s effect on paranoia (excessive mistrust), anxiety, and depression. Others would like to think that it is their depression or mental health problems that causing them sleep but it can also be that they developed that condition because their body loses a lot on all those sleepless nights. Sleeplessness causes your immunity significantly went down and they are unable to cope with the stresses of this world that they ended up sick in the long run. You shouldn’t take your health lightly and the quality of your sleep has a big impact to how healthy you stay in your lifetime. Even a minor problem like snoring may actually be a bigger problem such as sleep apnea, so better get yourself checked right away for interventions to be given. There are anti-snoring mouthpieces you can use that not only reduce the snoring but correct the anatomical deformity that makes you prone to sleep apnea. Here’s one you should check out: https://snoringmouthpiecereview.org/good-morning-snore-solution that may be a good fit for you or something like this: https://snoringmouthpiecereview.org/snorerx that is also used by many sleep apnea sufferers. Lost sleep can never be regained so get to the bottom of your problem to save your sanity as well. Sleep is a basic necessity. We’ll have a hard time going through with our day if we weren’t able to sleep soundly the night before. We lose focus. Our memory fails us. Even simple tasks become unmanageable and sleep deprivation can compromise our work or studies. You aren’t just your usual self when you don’t get your recommended eight-hour of sleep at night. But at the rate the world is going nowadays, far too many distractions keep us from falling asleep when we hit the sack. Back then, you have nothing left to do once the lights go out and you’re all tucked in bed, but today, the hours pass by when you’re using your smartphone or tablet that you don’t realize the sun has already risen and you’re still wide awake, much to your horror. We enjoy all the things we do with these gadgets that we don’t realize how much time passes us by and how much damage it causes to our body. We only realize that once our health deteriorates, we become more prone to sickness because of our abuse and neglect. Sleep is fundamental to normal growth and development of any individual – big or small. And too much technology use is the main culprit we become more sleep deprived as the days go by. Is WhatsApp keeping you up way past your bedtime? Yo u’re not the only one, say doctors at Bengaluru-based National Institute of Mental Health and Neuro Sciences (Nimhans). A study has revealed that the use of internet for Facebook and WhatsApp is making people put off sleep by more than one and a half hours (100 minutes) every day . The study , published in January in the Indian Journal of Occupational and Environmental Medicine, also fo und that while the quality of sleep was above average, most people usually checked their phones and tablets at least four times after going to bed. Many people are guilty of doing this – overindulging ourselves in a little bit more social media before drifting off to sleep that we unconsciously sacrificed valuable sleep time for a juicy story you picked up on Facebook or Twitter. Research has shown a clear link between technology use before bed and compromised sleep that affects our health and wellbeing. While effects can vary from person to person, it may be as subtle as your thinking not being as sharp as it could be, your energy a bit sluggish, your vigilance a bit down, your mood a bit less stable. We should will ourselves to give up this bad habit for good. It may be tempting to check your news feed for updates or find out what’s the most captivating photo on Instagram but you got to do what you got to do. Your body suffers when you lose sleep, so better get your act together and resist the urge to tinker with your smartphone especially when it’s already bedtime. Technology use in the evenings may make it harder to drop off to sleep and can also reduce the quality of sleep and make you feel sleepier the next day. Using a screen for 1.5 hours or more seems to be when problems start, although not everyone is affected the same way. The impacts on sleep are related to both the stimulating effects of interacting with a device and the effects of light from the screen. But don’t feel bad because not all technologies are awful. Some can actually help you sleep better like this smart bed that will help you sleep better sans technology. A bed that adjusts itself in the night to stop people from snoring. A princess and the pea-style gadget that fits under a mattress and monitors sleep. A “water-based, app-controlled mattress topper”, which will encourage deep slumber. Sleep technology is one of the biggest trends at CES, the world’s premier electronics show, which opened to the public on Thursday. The range of products on show reflects the growing interest in solutions to insomnia and other sleep problems – as well as the predictions that the global sleep market will be worth $80bn by 2020. Sleep Number’s 360 Smart Bed is among the most eye-catching products. The mattress can detect a change of body position during the night and uses air chambers in the mattress to contour to the sleeper’s frame. Just like any other thing, using things in moderation is the key to a long and healthy life. You may be hooked on social media and all but you have to understand that only you can set limits to your tech use. No matter how irresistible it is to check your social media accounts now and then, you should never compromise your sleep because of it. Your health is far more important (and can be helped by mouthpieces like this) because you can do anything you want if you have a healthy and able body. Technology will always be there – something to keep us entertained when we have the time but should not take our time from doing the most important things in life. 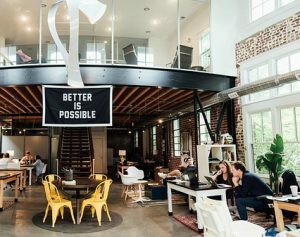 The world around us now is becoming more digital than ever, so it is more crucial than ever for us to learn the discipline to overcome our tech obsession if we want to live longer in this world as healthy as we can possibly be. When Ranjana Nair, Sanchi Poovaya and Aardra Kannan saw a friend’s prematurely born child two years ago, they were shocked at the amount of electronic equipment hooked up to her tiny body. But even after their friend was able to bring her baby home, the anxiety persisted. Constantly concerned, she kept going to the crib to put her hand on the child’s chest to make sure she was breathing. 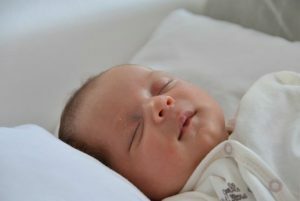 There are respiratory trackers for infants, but most of them require putting some kind of battery-powered sensor on the baby’s body, which is a concern for many parents. Nair, Poovaya and Kannan — all engineering graduates — thought there had to be a better way. And so the Raybaby was born. At first glance, Raybaby looks like an ordinary baby monitor. It has a camera that detects the baby’s movements and transmits what’s going on to an app on the parent’s phone. But what’s special about the Raybaby is that it utilizes ultrawideband radar technology, which works much like ultrasound. Within a range of five meters, it can detect the tiniest movement — less than a millimeter, even. So it’s not a problem if your baby is wrapped up in a blanket and hard to see on camera. The device is smart enough to know if the movement is related to breathing or if it’s just the baby kicking around. “Keep it on the table, bookshelf, anywhere next to the baby,” said Nair, who’s now the CEO of Ray, the company behind the Raybaby. All told, Nair claims an accuracy of 98.3 percent. When paired with the app, Raybaby can give you valuable stats on your child’s live respiratory rate. It offers mapping of the different sleep states too. It also provides a weekly graph, which would be good information to have when you’re visiting your pediatrician. The device also alerts you if there are any sudden changes, which could point to a fever or other illness. As a baby monitor, Raybaby doesn’t stream live video continuously to the app — which could tax your bandwidth — but instead tracks when the baby is awake or smiling or trying to stand up. It collects a collage of all of those moments into highlights of the day, which you can then share with the built-in online community that comes with the app. “They get the best of two worlds: vital monitoring and video monitoring all in one device, all of which is securely stored using Amazon Cloud Services,” said Poovaya, who is now Ray’s COO. The device itself is an adorable little thing that’s small enough to blend into your nursery’s decor. Its components are clinically tested and FDA approved, and according to Nair, the results are so good that they’re comparable to the sleep-study equipment used in hospitals. Indeed, Johnson & Johnson Innovations, which is one of Ray’s investors, has used it in several sleep-study trials with great success. For worried parents the world over this can seem like a godsend. It helps alleviate some of that new-parent fear and even bring peace of mind to parents who have been doing this for years. Consider the fact that you have a child home sick and you can’t be in their room the entire time. We all know with sick kids anything can happen and by having this monitor in the room which will also alert you to sudden changes, all parents can rest a bit easier. 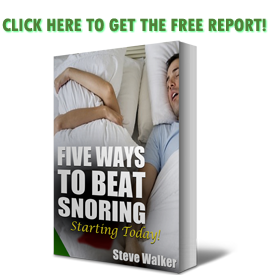 Wake Yourself Into Snore-Free Sleep? So why is snoring a big problem for people? Well, there are certainly a number of reasons, a major one being the fact that snoring frequently coincides with lack of breathing during sleep. Also, if you sleep with a partner, it can be annoying to the extreme and keep your partner up all night, whether he or she has a snoring problem or not! This is bad for you, of course, but definitely worse for your relationship. 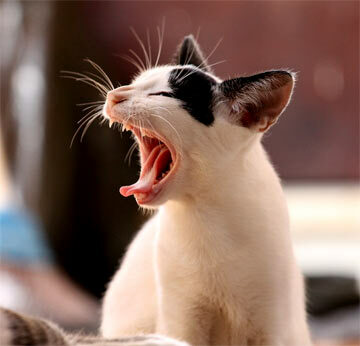 However, one of the main issues that people find tough with snoring and sleep apnea is a lack of sleep. A lack of sustained, restful, full-blown, relaxed sleep. The kind where the dreams are strong and restful. The real reason for good sleep, after all. The consequences of missing out on this kind of quality sleep can be killer for a lot of people, and result in lost productivity, moodiness and not to mention total lack of energy during the day. It’s enough that people frequently look to snoring mouthpieces like this one to calm their snoring and ensure a solid bunch of winks. 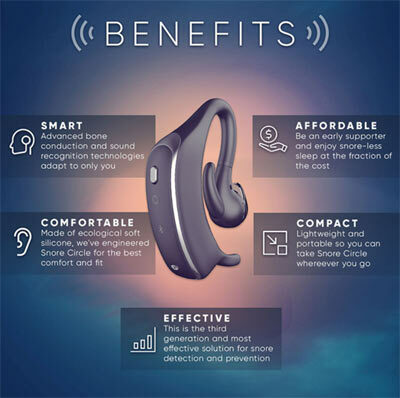 The CEO, Johnson Luo, who is also a snorer, said that the device doesn’t wake the snorer up, but just irritates the snorer enough to change position and stop snoring. The beeps and vibrations sent by the device vary in 54 forms according to the seriousness of the snoring. Professor Li Taoping, director of the Respiratory and Sleep Research Center at Guangzhou Southern Medical University, said that snoring results from various causes, such as having narrower air passages, being overweight or out of shape, use of certain medicines, excessive drinking or smoking, and sleeping in poor positions. As a result, different methods and tools have varying influence on different people. That is why the users of Snore Circle have such different experiences from the device. 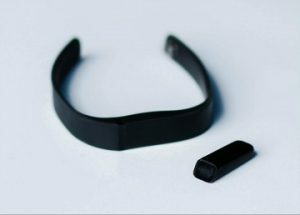 What is also special about the Snore Circle is that it has Bluetooth that can send data to its mobile app, also of the same name, which can track and record one’s sleeping quality and snoring reduction. So the power of a sleep lab in a Bluetooth device? Why yes, friends. Very, very cool. Cool enough, apparently, that the company as of this writing has already raised over $250,000 on funding site IndieGoGo to potentially get the product to more people. So is the Snore Circle a stunning snore-killer like we’ve never seen before? Er, probably not. And the idea of “slightly bothering” the snorer perhaps up to a hundred times per night doesn’t exactly sound like an experience most of us would like to be a part of. But, in our eyes, what makes the Snore Circle so interesting is the fact that it uses your smart phone to track exactly how your snoring patterns work. Like a sleep lab in an earpiece’s clothing, if it actually works as stated. And that may be well worth the money for many folks. Dispelling Some Sleep Myths With Professional Help! There are a lot of myths about virtually everything – let’s face it, when you live in a world where “fake news” is not only more popular, but more believed than real news, you’re going to get some fake-outs. But in the world of sleep, there are always ways to second guess. Am I getting enough sleep? Is my health destroying my sleep? And it goes on from there. There are some simple truths, however, and a key one is that we all need a good amount of sleep to survive. For most people, that means anywhere from 6-8 hours of sleep per night. This is the same kind of sleep that can be easily interrupted by snoring, which is why many people may be overestimating the sheer amount of sleep they’re actually receiving. If you can’t recall your dreams, you’re not sleeping deeply. Not true. It’s normal not to remember your dreams, but most likely you are still having dream sleep otherwise known as REM (“rapid eye movement”) sleep every night. In fact, most people remember their dreams only because they may be waking up frequently in the middle of the night (from disorders such as sleep apnea) or because they were in the last stage of sleep when the alarm went off. Yep, that one is a bit of a shocker. It’s important to remember that snoring usually comes from your jaw and epiglottis region, and has nothing to do with obesity at all. That’s why mouthpieces like the Good Morning Snore Solution are in such popular demand by our readers. While obesity does mean the likelihood that you snore is much higher because it’s also likely you have more movable fat cells in your neck and throat region, it certainly isn’t a guarantee, either. No matter your body shape, you’re at risk of obstructive sleep apnea – whether you like it or not. This one is interesting as well. My wife is a big proponent of this one, and I frankly can’t wait to show it to her. Sleep daily, folks, and you’ll be much better off than if you think that you can somehow “catch up”. Alcohol helps you sleep better. Not true. A nightcap before bed may calm you down and make it easier to fall asleep, but it tends to disrupt the quality of sleep. The depressant effects of alcohol may wear off in the middle of the night, increasing nighttime awakenings. Alcohol also reduces REM (Rapid Eye Movement) sleep and increases sleep-disordered breathing, which may lead to even more nighttime awakenings. And for some people, it can induce gastroesophageal reflux, which can cause discomfort and awakening. About this one, all I can say is I find it all a bit hilarious. Apparently the myth-meister that started shilling this one has never come by my bedside after a couple of good whiskies! See the rest of these myths at http://www.forbes.com/sites/henrymiller/2016/11/30/a-bakers-dozen-important-facts-about-sleep-and-sleep-disorders/, and learn a little something. Remember that checking a couple of sources, especially when it comes to health decisions, is ALWAYS a great idea. There is never a need to diagnose yourself with a dire fatal illness when a second source might dispel that kind of madness. And remember also: worrying causes a ton of stress. Stress can make sleeping difficult. So don’t believe everything you read, OK?